System 100 is based on an expressive concept: Architecture and design are consistently related to each other, down to the smallest detail. The puristic individual components are part of a whole. 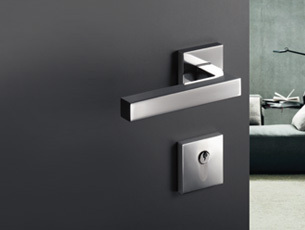 The Bauhaus style design is determined by geometric elements. 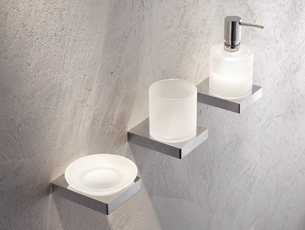 System 100 enables clear and consistently stringent design. 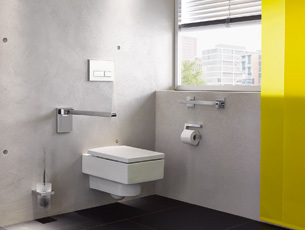 The system includes sanitary accessories as well as accessibility products for the comfortable and convenient bathroom, fittings, handrails and also signage. 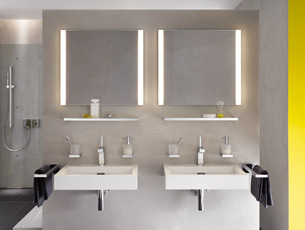 In the bathroom System 100 offers different surfaces and therefore enables many design options: high gloss, chrome-plated finish or stainless steel.